Candice has been working as a physiotherapist for 12 years, and in addition to her physiotherapy degree, she is a qualified Pilates Instructor (APPI trained) and has been trained to do acupuncture (AACP member). Candice has wide ranging experience in working with patients with orthopaedic issues, after orthopaedic surgery, and those with sports injuries and general musculoskeletal conditions. 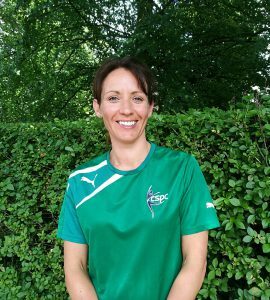 Candice has experience in both acute and chronic running injuries, using assessment and treatment skills to ascertain problems across the whole body to help treat the current injury and most importantly, to prevent the injury recurring. She has experience of working with a diverse range of sports such as football, rugby, squash, hockey, swimming, archery and even league croquet! Candice has also worked at the Police Treatment Centre in Harrogate, which offers a residential setting for rehabilitation from injuries. There she worked with a wide range of musculoskeletal problems and chronic complex injuries sustained from sports, assaults and car accidents to name but a few. Particular clinical interests are running injuries, chronic low back problems, in addition to her experience in orthopaedic surgical procedures (pre/post op knees and shoulders), and the subsequent rehabilitation. She enjoys that the human body is complex, no two injuries are the same and no two people carrying those injuries are the same! There is always an interesting challenge in working with any patient for this reason. Outside of work, Candice enjoys keeping fit… preferably on a very muddy run!